I cannot believe Thanksgiving is two weeks away! I've said over and over again that 2013 literally flew by. My Halloween decorations are still up, better go do something about that before it is Christmas! For Thanksgiving this year, we are going home to Daytona, where we will spend the big turkey day with both of our families. That usually means two huge thanksgiving dinners and going over to friends houses for cocktails. The night before Thanksgiving is the biggest night to go out in Daytona Beach. It is like a huge reunion. Although every year, we vow not to go again, we always end up on Seabreeze Blvd and wake up with a huge headache the next day. My best friend Keri is obsessed with decorating her dining room table for every holiday and I am excited to see what she has put together this year. She has gotten me into this tradition as well and I've been looking for a set that I can use for multiple holiday's. I was in Target the other day and became obsessed with this Mercury Glass set. Seeing it used as a table setting made me want this set even more. This would be a great transition set for Thanksgiving and Christmas. I love that silver and gold are both used. I'm 99% positive that this will be the set we will get for the holiday's. 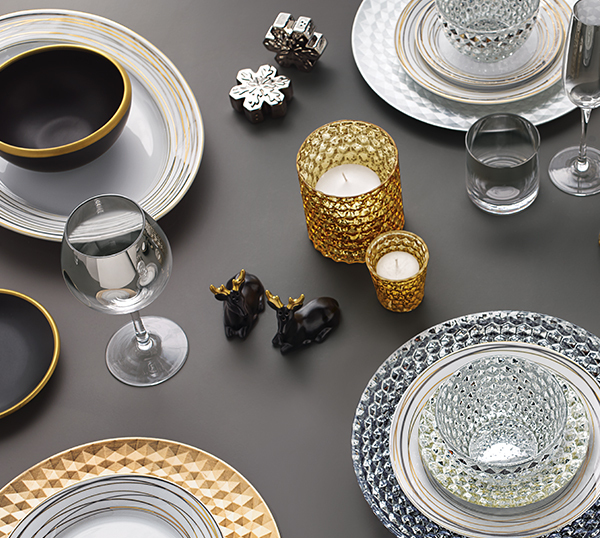 To complete the perfect table setting, one must have glassware. 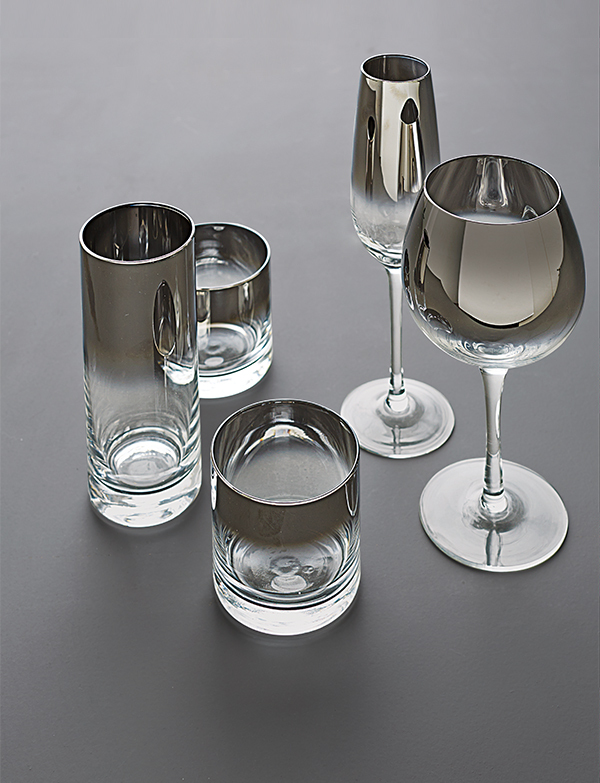 This Ombre Glassware set is beautiful and affordable (the wine glasses are only $6.99 each and are huge!). I cannot express how much I love these glasses. They look even better with a cocktail in them! Speaking of cocktails, we always make a signature cocktail for Thanksgiving and Christmas. This years cocktail will be Caramel Spiced Tea. Last year, we made pumpkin martinis, using canned pumpkin for our puree. It was a delicious disaster, the pumpkin puree leaked overnight and I will be fine if I never drink another pumpkin pie martini although I saw that a few Vodka companies have jumped on the Pumpkin bandwagon with Pumpkin Vodka. We will be going a different route this year. We are big fans of Chai tea, which is used in the Caramel Spiced Tea cocktail. 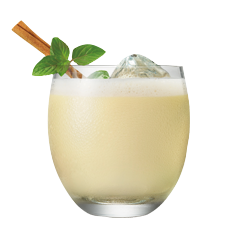 This drink has all the holiday flavors in it and is really good. Be careful, it is a little too easy to drink and it will sneak up on you. Shake all ingredients with ice. Shake and pour into a double rocks glass. Drizzle with caramel. What is your favorite way to decorate for the holiday's? Do you have a tradition? I'm a bit obsessed with the Smirnoff caramel! I'm going to have to give your recipe a try. Whoa. 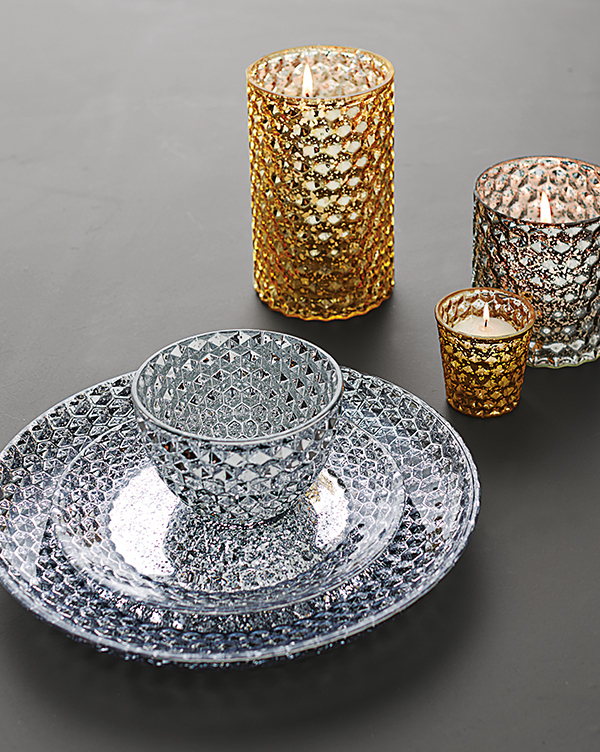 That Mercury glass is stunning....but I do believe I'm even more obsessed with the ombre glassware!!! WANT! I feel like I'm gonna be too crazy to even think too much about a tablescape andplace settings...so it'll prob be the standard china (60+ years old lol) and some pretty decorative pumpkins. I only wish I could get my hands on this stuff you teased me with! Also, that cocktail sounds decadent!